os yw'ch plentyn yn absennol am unrhyw reswm. Mae gennym hefyd gytundeb ysgol/cartref. 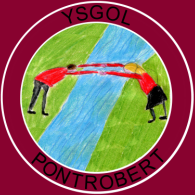 Ei bwrpas yw gosod disgwyliadau a canllawiau clir yr ysgol, rhieni a disgyblion. Pan fydd eich plentyn yn dechrau'r ysgol gofynnir i chi ei lofnodi ar ei ran. Wrth fynd yn hŷn bydd y disgybl yn ei lofnodi ei hun. Supporting the Friends of the school meetings and fundraising efforts. Supporting the school with collections it might be making e.g. morrisons vouchers. Providing materials or artefacts as requested for class topic work. Attending parents evenings to discuss your child's progress. Keeping the class teacher informed and up to date on any health problems your child has, or any difficulties with school or home that may affect your child's ability to work and enjoy school. Helping at home with reading and some number work on a regular basis. Supporting your child with their homework. Using the reading diaries (Years 1 and 2) in partnership with the class teacher. Informing the school during the morning if your child is absent for any reason. We also have a home/school agreement. Its purpose is to set out clear guidelines and expectations for school, parents and pupils. When your child enters school for the first time you will be asked to sign this on behalf of yourself and your child. As your child matures and is able to understand the agreement then they sign it themselves.